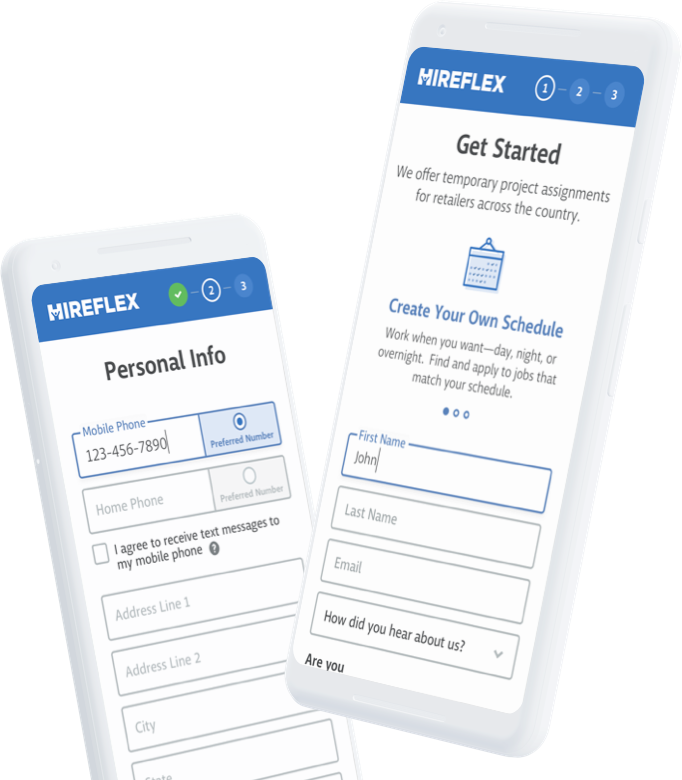 Hireflex has an on demand candidate database of over 300,000 people, with over 15,000 active candidates. 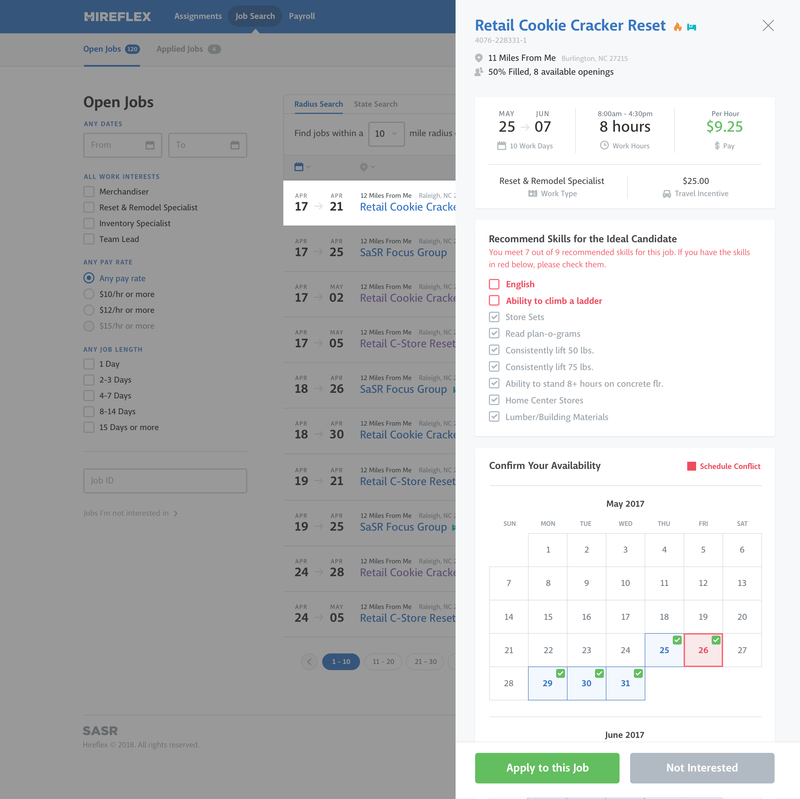 Retail companies come to Hireflex for on demand, temporary staffing needs, such as store setups or surges during holidays. 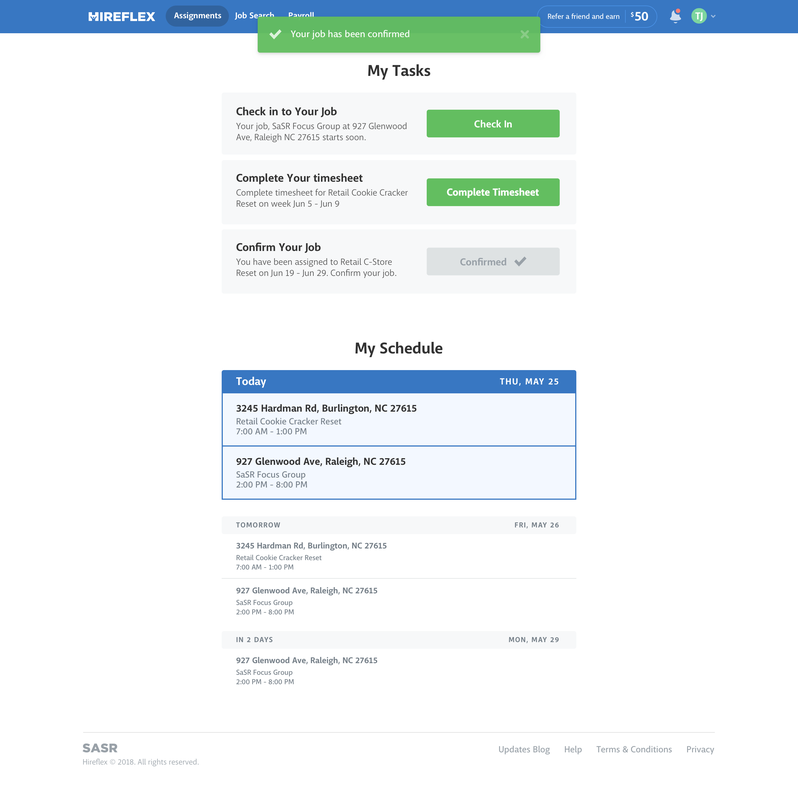 People work for Hireflex for flexibility. 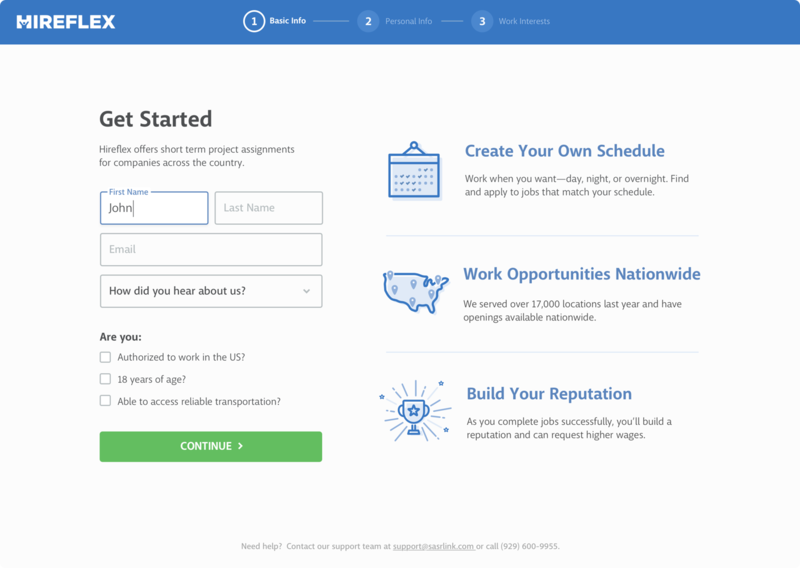 There’s no 9 to 5 — they can work whenever they want, wherever they want (in the US). 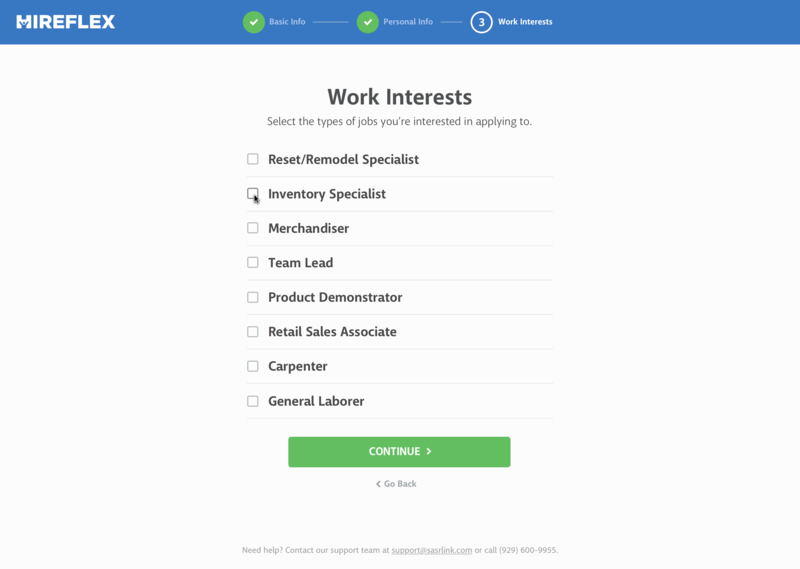 Jobs are posted in their app, and candidates apply to be selected. Typical jobs range from 1-3 weeks time. Hiring managers approve or deny candidates based on prior history and experience. After chatting with leadership and stakeholders, we learned there was an over 80% abandonment rate in their onboarding process. 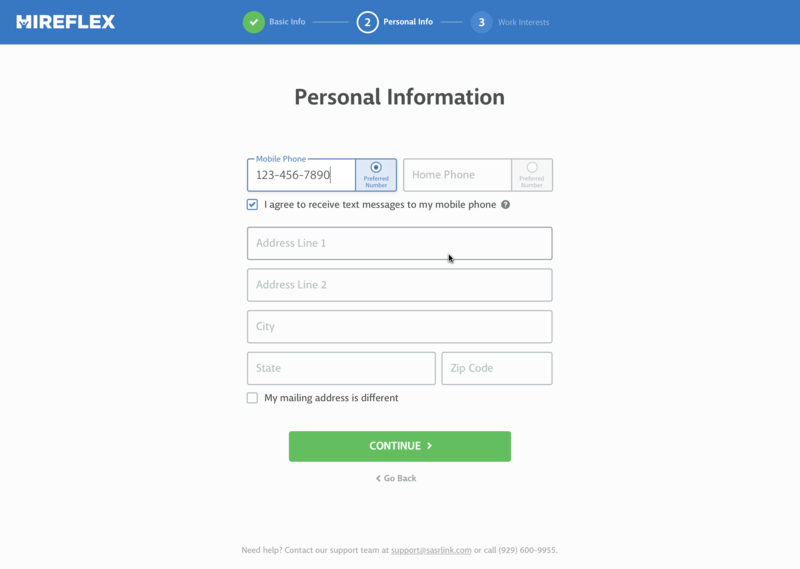 We redesigned the onboarding to reduce friction as much as possible by reducing the number of form fields to the required minimum. Additional info that was needed later on would be asked for at the appropriate time. 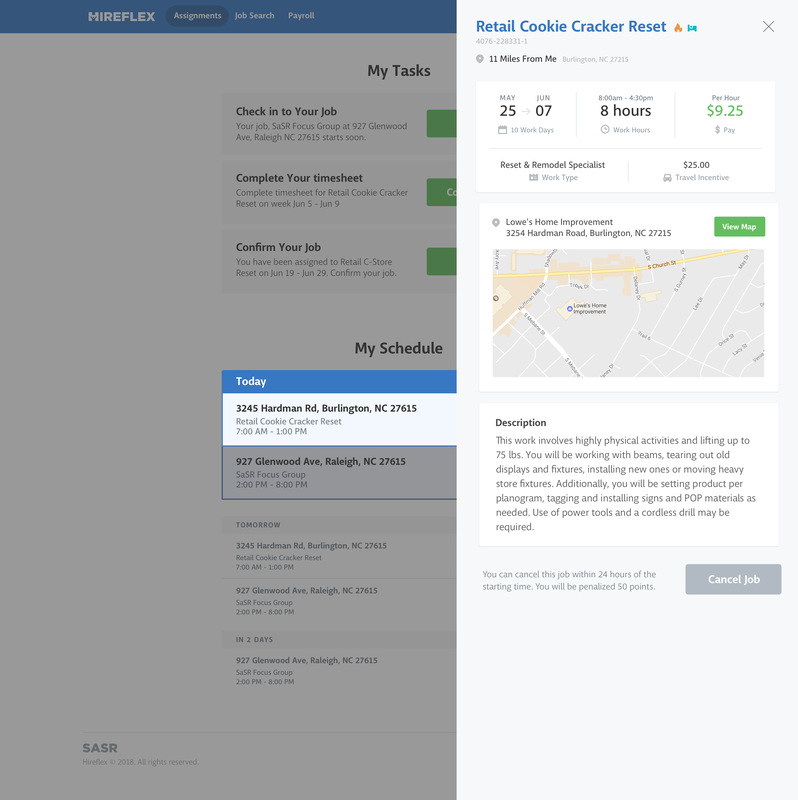 We performed user testing with some early prototypes and learned that many applicants weren’t even reading job descriptions, but rather applying to 10+ jobs at once. 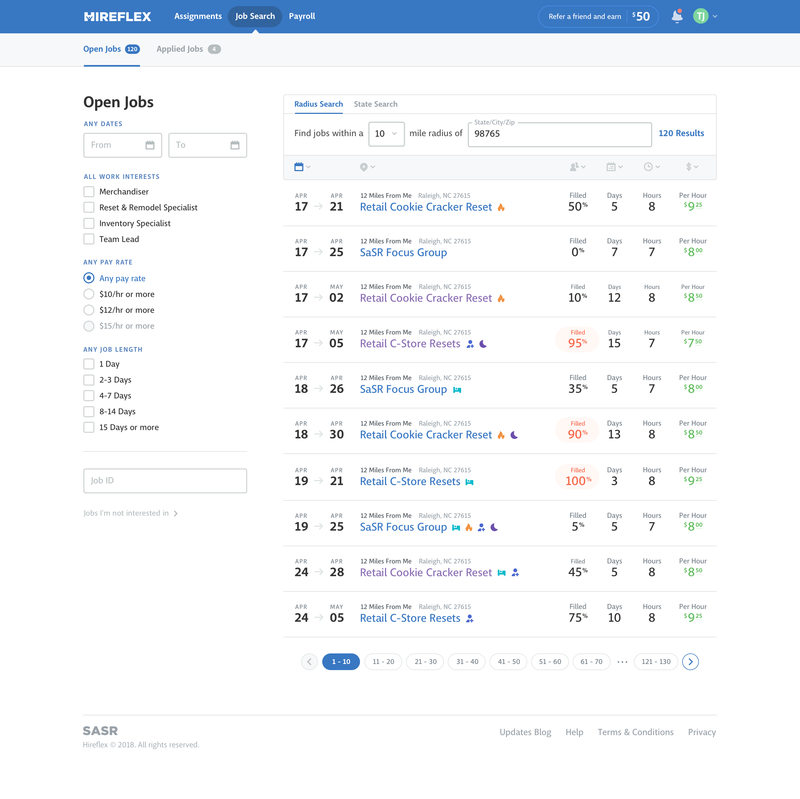 The job search results screen was designed to contain all pertinent info need to make a decision whether or not to apply, and each job can be applied to using just 2 clicks. The entire flow of information through the system was designed, including timesheets, payrolls, their referral and reward system, and more.